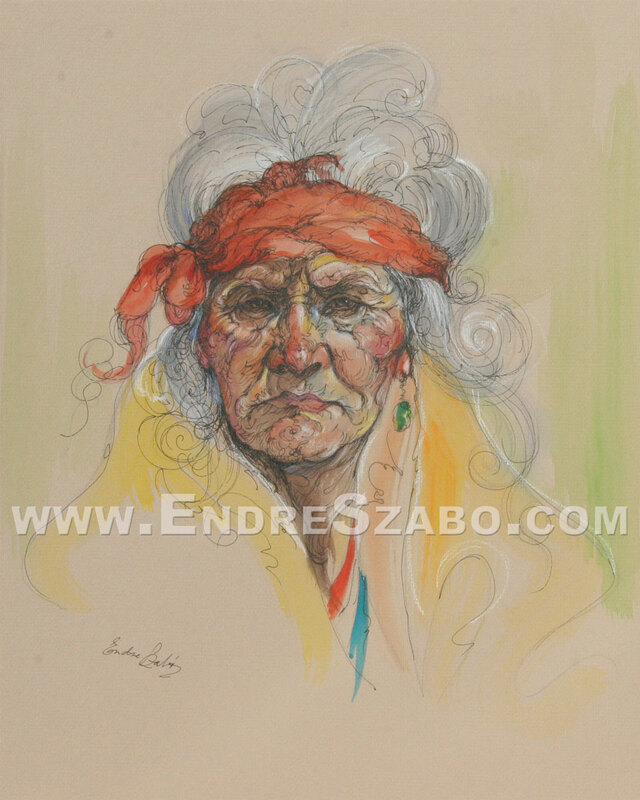 These are original mixed media pieces. 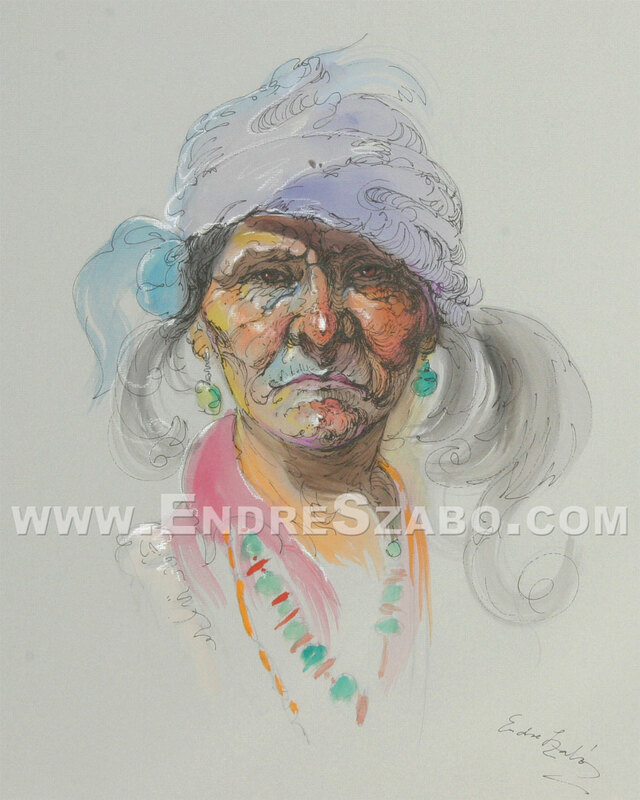 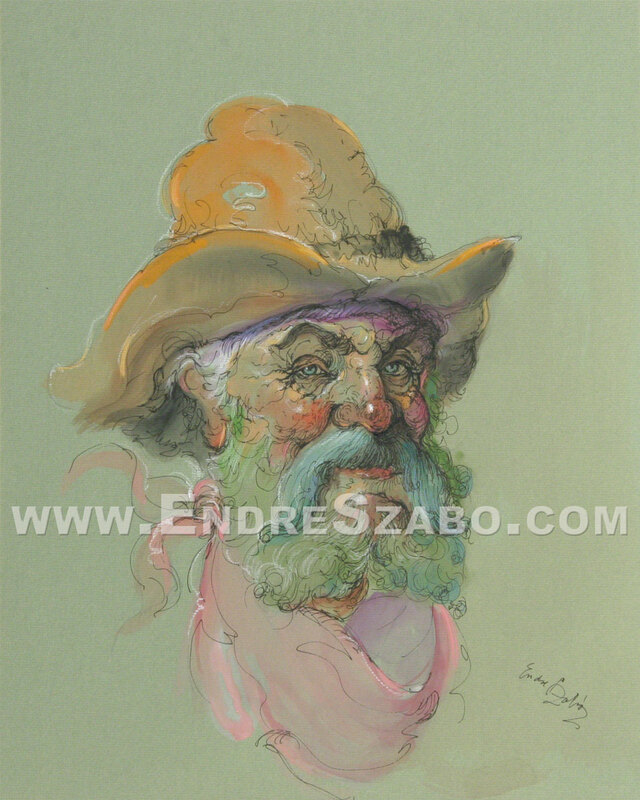 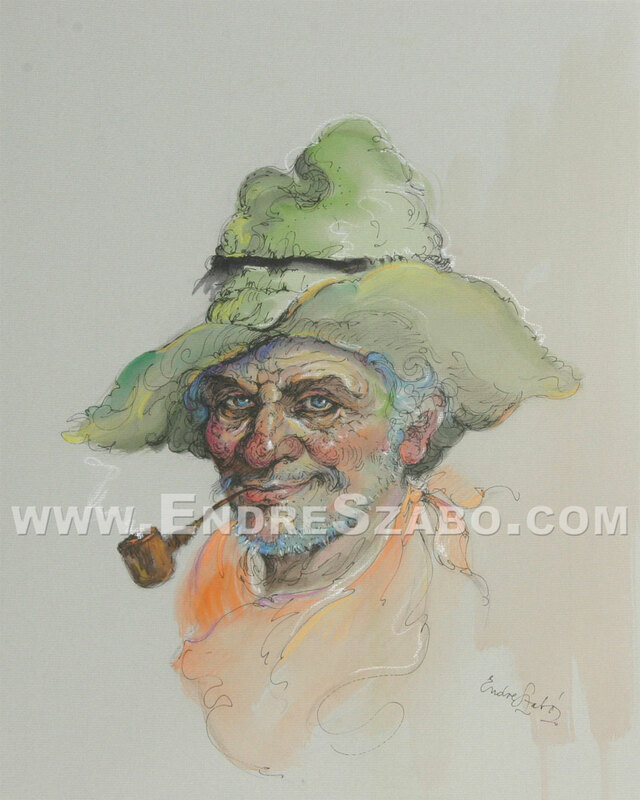 They are pen and ink, watercolor and pastel pieces that are breathtaking examples of Endre Szabo's mastery of color and character. 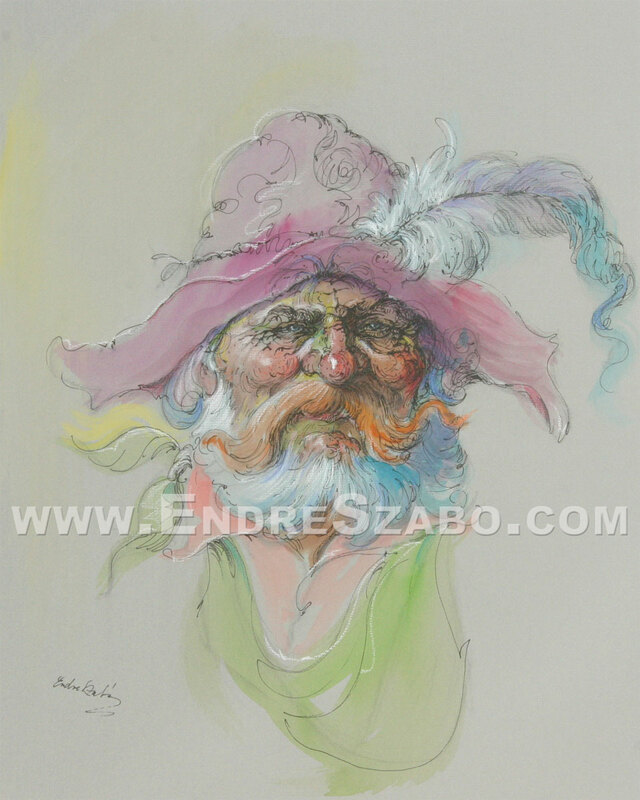 Enlarge the image to see the wonderful ineterplay of lines and watercolor with pastel highlights. 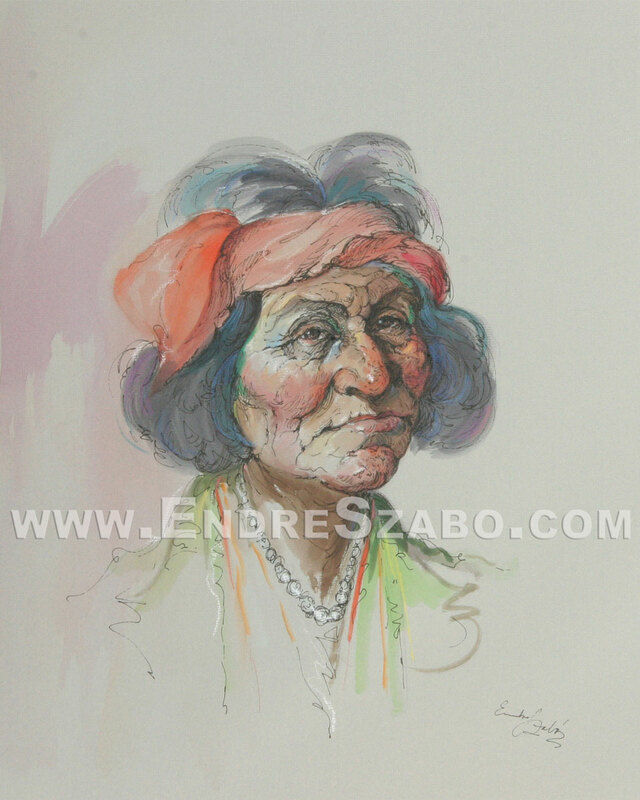 These stylistically unique pieces have been held by Mrs. Szabo for many years and it is our great pleasure to show them to you here for the first time. 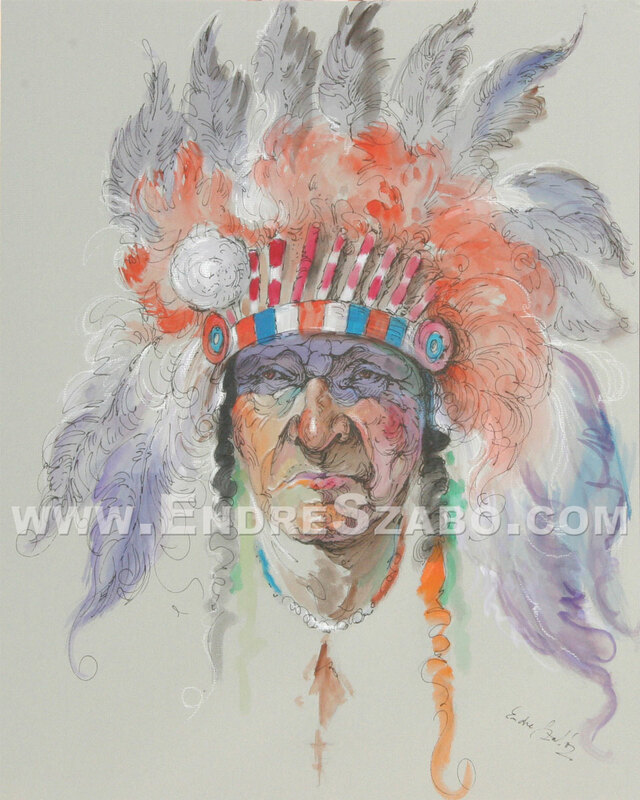 These originals masterpieces are 16" x 20" on artboard.